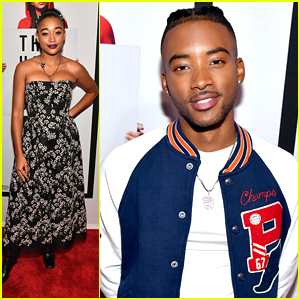 Algee Smith Photos, News, and Videos | Just Jared Jr.
Amandla Stenberg steps out for the premiere of The Hate U Give held at Regal Atlantic Station on Wednesday night (October 3) in Atlanta, Ga. The 19-year-old actor joined co-stars Kai N. Ture, TJ Wright, Lamar Johnson, Karan Kendrick, Bobby Sessions, Regina Hall, and Algee Smith, with author Angie Thomas, and director George Tillman Jr. for the screening and panel for the night. If you didn’t hear, 20th Century Fox Film and AMC Theatres are partnering to give underserved and underrepresented young people across the country the opportunity to see The Hate U Give. 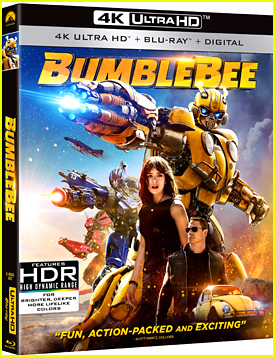 Free screenings will be hosted at 11 AM local time THIS Saturday, October 6th. The nine metro areas hosting the free screenings include Atlanta, Ga., Baltimore, Md., Dallas, Texas, Houston, Texas, Los Angeles, Calif., Miami, Fla., New York, N.Y., Philadelphia, Pa., and Washington, DC. These limited release screenings will be a launching pad for a campaign to bring up to 50 screenings to communities around the country and amplify the film’s call for youth to find their voice and change the world. Schools, community groups and nonprofit organizations can apply for free screenings HERE. Applications are due Oct. 22, and winners will be selected by Oct. 31. Individuals interested in supporting screenings for classrooms around the country can contribute via DonorsChoose.org. Parent company 21st Century Fox will match donations up to $25,000. The Hate U Give opens nationwide on Friday, October 5th. 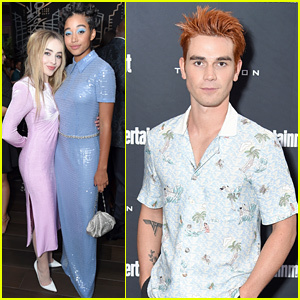 Amandla Stenberg, KJ Apa, & Sabrina Carpenter Attend 'Hate U Give' Premiere at TIFF! One of our most anticipated movies of the fall is The Hate U Give and the stars of the film were at the 2018 Toronto International Film Festival for the premiere this weekend. 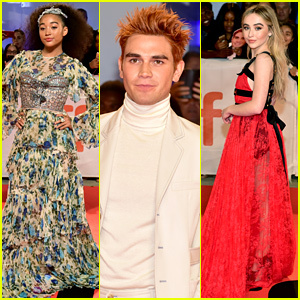 Amandla Stenberg, KJ Apa, and Sabrina Carpenter were among the actors who walked the carpet at Roy Thomson Hall on Friday night (September 7) in Toronto, Canada. More cast members in attendance included Regina Hall, Anthony Mackie, Issa Rae, Algee Smith, Russell Hornsby, Dominique Fishback, TJ Wright, and director George Tillman Jr. The cast attended an IMDb Studio appearance on Friday before the premiere and then they gathered for a press conference on Saturday. See more pics in the gallery! FYI: Amandla is wearing a Gucci dress at the premiere. She is wearing Alice McCall overalls at the press conference. Sabrina is wearing a Philosophy di Lorenzo Serafini gown and Brian Atwood shoes at the premiere. KJ is wearing a Victor Li blazer and pants at the premiere. Dominique is wearing a Jovani jumpsuit at the premiere. Regina is wearing an Alberta Ferretti gown at the premiere. Anthony is wearing an Ermenegildo Zegna Couture suit at the premiere. 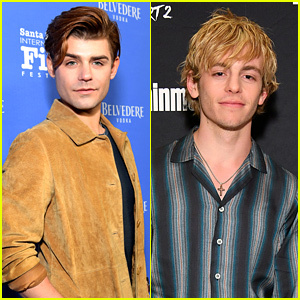 Algee is wearing a Louis Vuitton outfit, Giuseppe Zanotti shoes and a David Yurman ring at the premiere. Issa is wearing an Oscar de la Renta dress and Bvlgari jewelry at the premiere. 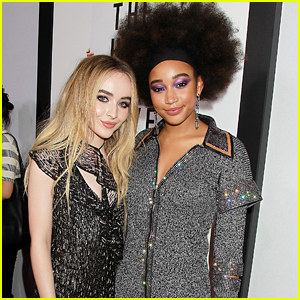 Amandla Stenberg and Sabrina Carpenter are kicking off The Hate U Give promo at the 2018 Toronto International Film Festival. The two stars of the upcoming film joined co-stars Algee Smith, Regina Hall, Issa Rae and Russell Hornsby, plus director George Tillman Jr. and author Angie Thomas. 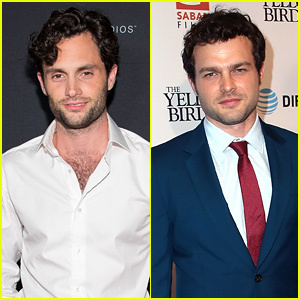 The cast stopped by both the IMDb Studio presented By Land Rover at Bisha Hotel & Residences, as well as at the DIRECTV House in Toronto, Canada. The Hate U Give, also starring KJ Apa, will be hitting theaters next month.